And of course, maybe my favorite part of all is Halloween. I've always loved any good excuse to dress up and now that we have two little kiddos added to the mix I want my dream of coordinating family Pokémon costumes to become a reality. 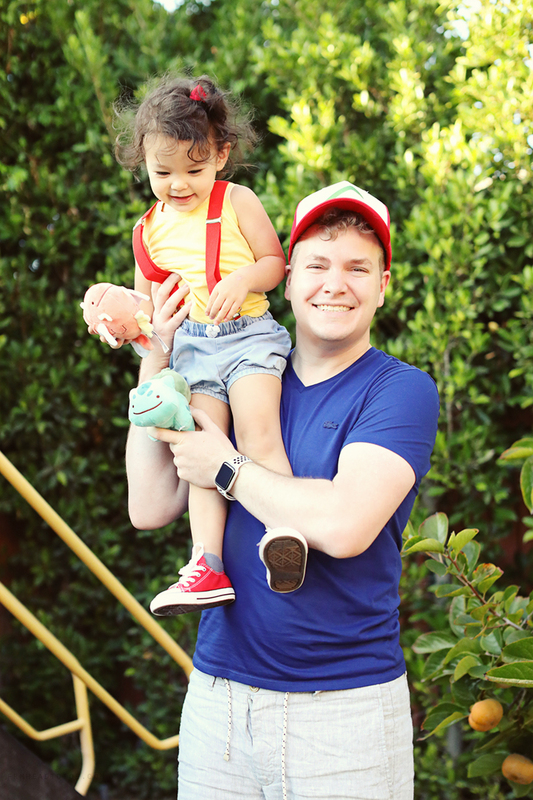 Dad will be Ash Ketchum, I'll be his #1 BFF Pikachu, Aria is Misty, and baby Ezra can be a swaddled-up Togepi which was Misty's egg-like buddy. Since I love the idea of getting items that will work beyond just the one holiday costume, I've tried to be pretty intentional with getting a lot of value out of my purchases not only by picking out items that can be re-worn as everyday clothes, but also by taking advantage of the 5% cash back quarterly bonus categories from my Chase Freedom card. (Woohoo! Perfect timing! Just activate this quarter’s bonus categories, which includes department stores and wholesale stores before December 15th to take advantage of the earnings and it's good to go.) If you aren't already a Chase Freedom card member you can check it out here. Because we used to live in the midwest with its gorgeous warm-toned foliage, I love incorporating that into our decor as a reminder of our hometown even though we don't quiiiiite get the same weather patterns here in Southern California. 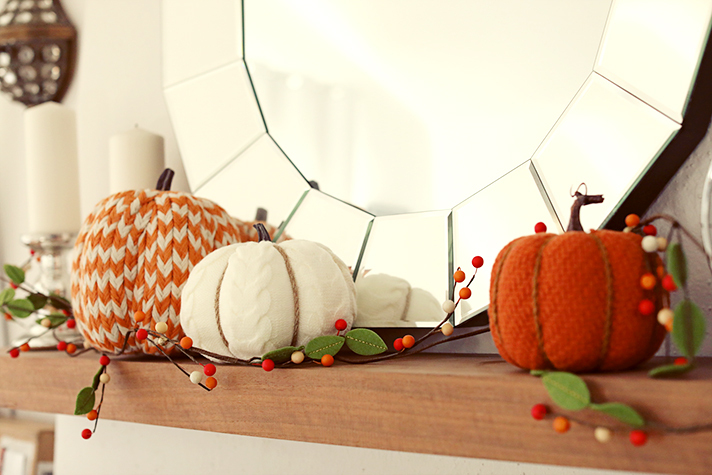 Right now Nordstrom Rack has the CUTEST fall décor. 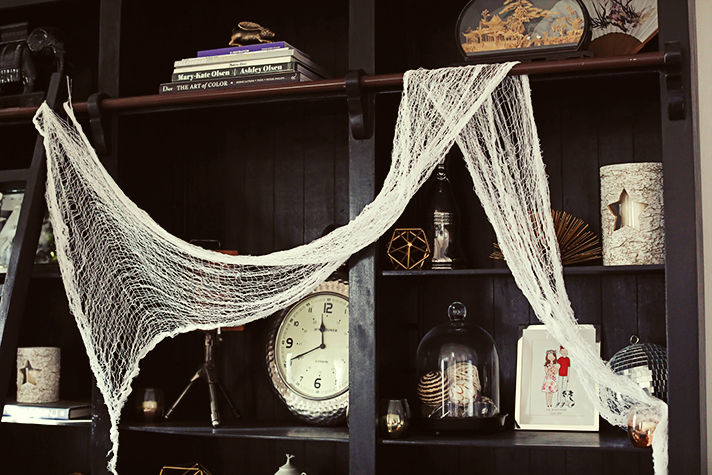 I couldn’t resist picking up a few new fall pieces to get our home ready for the holiday. 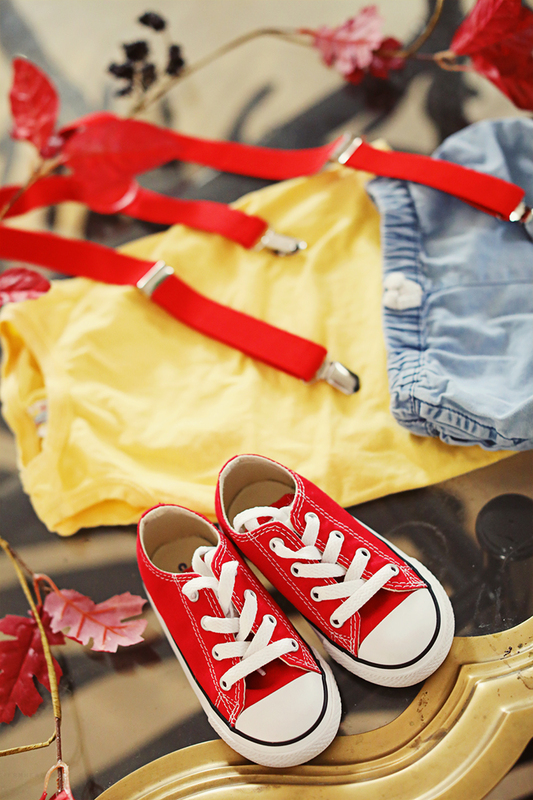 Getting Aria's costume was pretty easy since she already had the tank and shorts, so the best part were these red Converse sneakers from Nordstrom which she's already obsessed with. Ben's favorite t-shirts happen to be the 100% cotton Lacoste tees, so I picked up a blue one also from my beloved Nordies to pair with jeans for his everyday-Ash outfit as well. Comfy, easy, and able to be worn well after Halloween. What do you guys think? Are you into couples/family coordinating outfits? 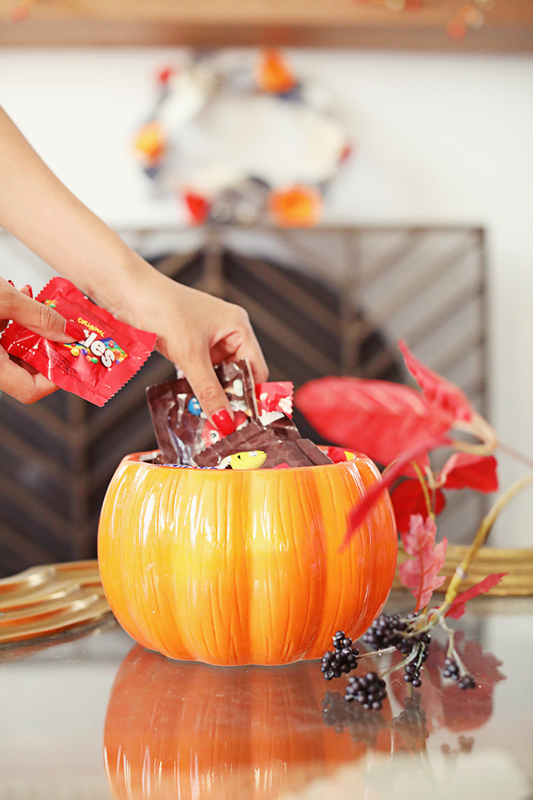 What are you planning on doing for Halloween this year? Let me know in the comments! Huge thank you to Chase Freedom for partnering on this post! Those who follow me on Instagram may already know this but I mentioned in a recent post about how it’s honestly difficult for me to set aside time for treating myself, especially now that I have a baby. There will always be a million excuses in my head for all the tasks that need to be completed which is only compounded by the fact that I work full-time from home while also taking care of Aria full-time as well. Yes, I do plan on eventually getting childcare help but for now I’m just trying to embrace this relatively short time to have her closer and save a bit of money! Unfortunately, that also takes up large swaths of my free time which is usually spent scrubbing bottles or folding seemingly endless piles of laundry. That’s why I, and my ever-amazing partners Aveeno, have realized that it’s more important to put my “me time” as a priority in my schedule since otherwise it will inevitably just never happen. Any other ladies out there feel the same way? Can I get an amen over here? Basically, my tactic is to either full-on leave the house for appointments like a spa treatment or massage once in a while (which you definitely deserve, let this not even be a question) OR do what is much more realistic for fitting into my hectic daily schedule which is to be 10x more efficient at things I do throughout the day so that I can spare a bit of time to myself each evening. That’s why I wanted to share a few time-saving hacks that I’ve found makes a busy life run a little smoother by the end of the day. 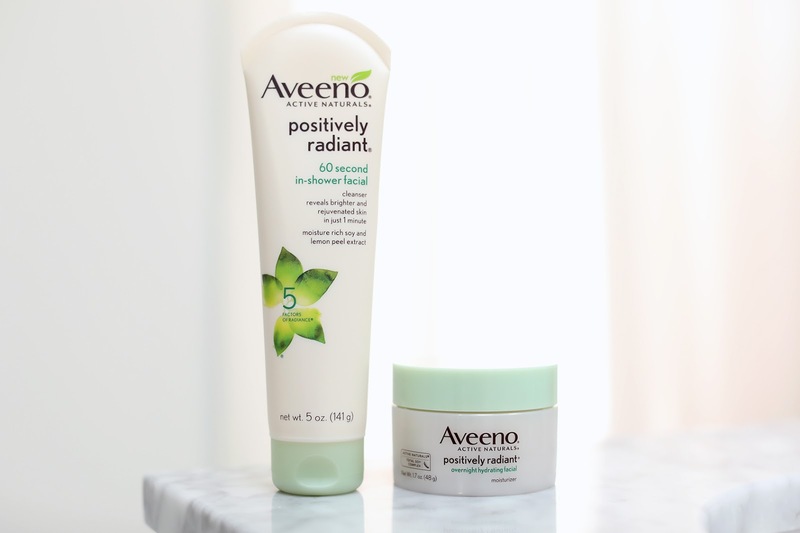 You may have noticed a couple of my favorite pampering steps were taking advantage of the Aveeno Positively Radiant line like the 60 Second In-Shower Facial which works with the steam of your shower to kick your regular exfoliation up a notch. Ben (aka Mr. Toe as he has been affectionately dubbed by some followers) who typically loathes any complicated skincare routine even gives this one a thumbs up. The Aveeno Positively Radiant Overnight Hydrating Facial is another one that, dare I say, harkens to sleep masks in the Korean skincare routines I was raised with. I apply this before bedtime and wake up with hydrated, radiant skin. It’s that hyaluronic acid, baby. It does wonders with very little extra effort by me. The further along I’ve gotten in this whole parenting thing, the more strongly I’ve realized that women who take care of themselves set an important example for their children, which in the long run will mean so much more than if all the dishes didn’t get cleaned before bedtime for a night. Don’t forget to build yourself back up first so that you can take care of everyone else better! Because I've found it so useful to keep a handful of favorite basics that can be mix-and-matched with just about anything, I thought it would be fun to put together a list of 10 workhorse wardrobe pieces that can be worn and re-worn to bits and help elevate any outfit. 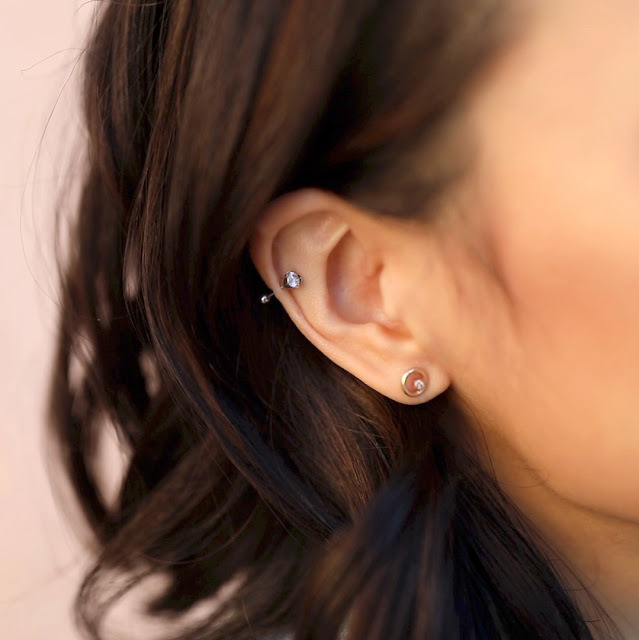 Speaking of Spring cleaning, did anyone notice that new lob I was flinging around in the video? Yeah. I chopped it all off again. Let me tell you, I feel about 100 lbs lighter and no longer under constant attack from baby hands. I'm still a little freaked out by the idea of "mom hair" but omg the freeeeeeedom! Do you guys have all the pieces the list? Did I miss one of your must-haves? Let me know in the comments!